The five communities of Missionaries of Africa in Lusaka, including the M.S.O.L.A. Sisters, gathered on Sunday 28th December 2014 for a Christmas and Farewell Party to Father Jaya Bordhan who is leaving Zambia on the 2nd January for a new appointment in India. Jaya invited also some friends for the occasion. Fortunately, it was not raining like the previous day and the barbecue was much appreciated. The Provincial gave a small gift to Jaya who cut the cake for the occasion. 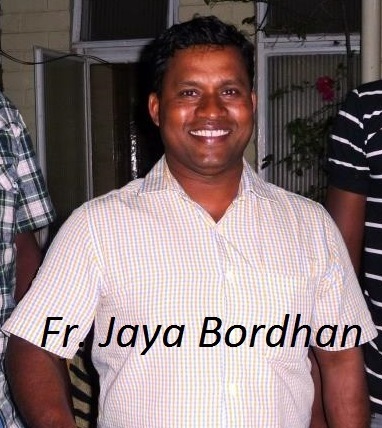 We wish Father Jaya a good and fruitful ministry in India. He warmly invited any of us who wish to visit him in his home country. Have a nice journey dear Jaya. We will miss you!